Here I am with the second Christmas gift guide for this year! This time, I'm focussing in on fragrances and perfumes. Be sure to check out my other gift guide for friends & sisters, grandmas & mothers-in-law and bookworms too. Perfumes are always a popular gift at Christmas but sometimes it can be a bit overwhelming with so many brands out there. I've put together some of my favourites that I've been trying out over the past 6 months that I think would make great gifts for someone you love. I've got all price points covered from budget fragrances all the way up to the high end (including the most expensive perfume in the world per ounce)! First of all, I have to talk about this incredible perfume by Clive Christian. From Britain's leading independent perfumery, their No 1 Feminine perfume has a very high concentration of fragrance meaning this stunning mix of floral and fruity scents lasts on the skin all day. The thing I love about this scent is that it's rich and sophisticated without being overbearing, and I've found that when people have commented on it, they pick up on different qualities of it regardless of their age or taste. 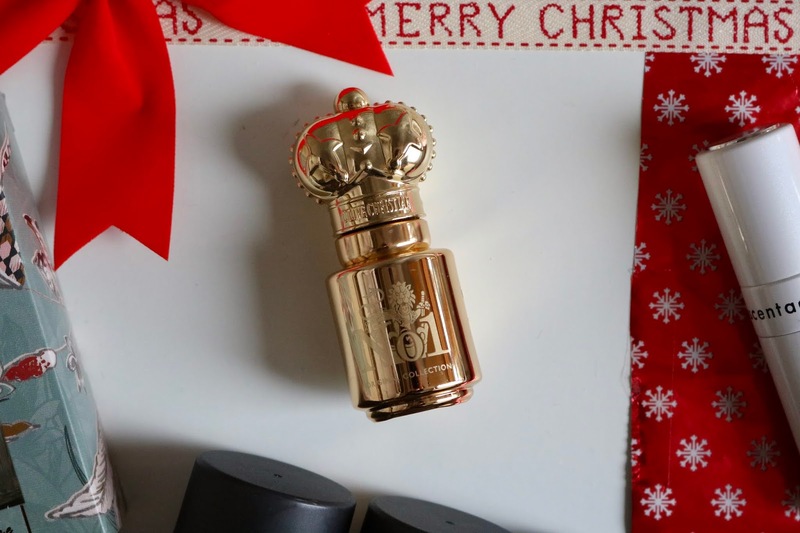 Another factor I love is that the packaging is truly beautiful- they are the only perfume house to be granted permission to use Queen Victoria's crown on their packaging, and so would give a royal touch to anyone's dressing table. By using such a high concentration of extracts means that their perfumes are not cheap, being the most expensive in the world per ounce. However, if you can afford it and are looking for a truly special gift for someone, then definitely give them a thought. They have lot's of gifts available this Christmas- as well as being able to buy the single 30ml bottle you can also get this 10ml bottle of No1 in a set of three along with their 1872 and X fragrances for just under £200. Take a look at their other products here, their perfumes start from £95! Next, I have to talk about one of my favourites out of all of these. The Versace Dylan Blue Pour Femme Eau de Parfum is a lovely fruity scent that somehow makes me feel like I'm on holiday! It probably makes me feel like this because this perfume is inspired by Medusa and the Meditteranean Sea, not just with the scent but with the bottle too, with its deep blues and gold accents. 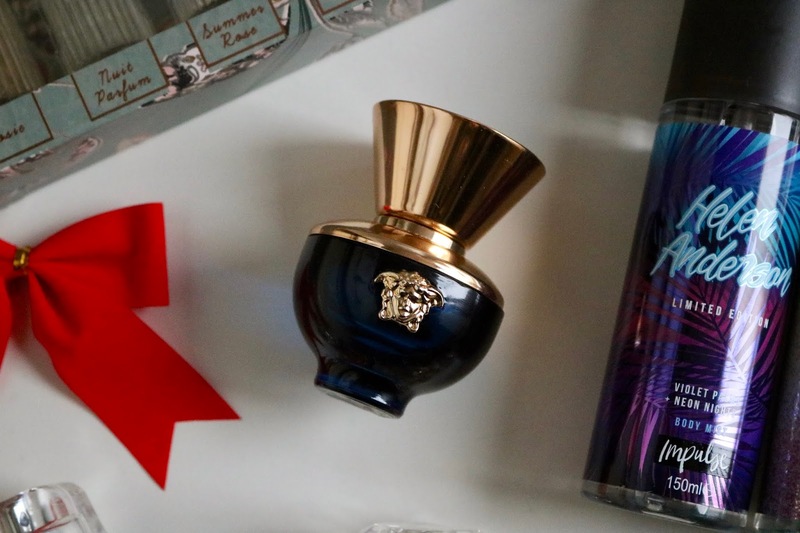 I think this works all year round and not just as a holiday fragrance, as sometimes when I wear it I get more of the woody notes, making it really wearable during the colder months too. Moving onto some of the more budget options, you can find some great fragrance picks if you don't have a lot of cash to splash. Impulse is one of those brands that has a special place in my heart as they were my go-to scents when I was a teenager. They have recently joined forces with Helen Anderson, my babe Sophie Hannah and glitter cosmetics company Go Get Glitter to create three limited edition body mists. Helen's scent, called Violet Palms + Neon Nights has a super fun vibe to it with its unique blend of cactus flower, neon apples and rose to create a scent that smells just like Parma Violets. Sophie's scent, called Mermaid Waves + Peachy Paradise reflects her mermaid and glittery personality perfectly with a mist that reminds me of holidays by the sea. When this first came out I went out to buy this myself to support her and this is definitely my kind of perfume. Go Get Glitter's scent is called Coconut Spritz + Glitter Bomb and is a very sweet mix of coconut, vanilla and musk. For those who like their really sweet perfumes, this is the one for you. A new discovery that came about this year for me was when Missguided released their three new perfumes to go along with their first award-winning scent Babe Power. Their first perfume in its amazing ring pull can bottle gained a lot of hype when it first launched so I was really excited to hear that they had added to the collection. I was lucky enough to attend the launch of them and fell in love with them all! Joining Babe Power we have Babe Oud, which is my favourite out of the three. This has a gorgeous rose smell to it, with a touch of citrus and woody base notes. Then we have Boss Babe, a strong fruity scent that reminds me of holidays in the sun. Great for everyday wear as well as for evenings, the mix of bergamot, almond and vanilla blend perfectly to make a gorgeous fragrance. Lastly, we have Babe Dreams which reminds me so much of Snow Fairy by Lush with its sweet violet and rose mix. 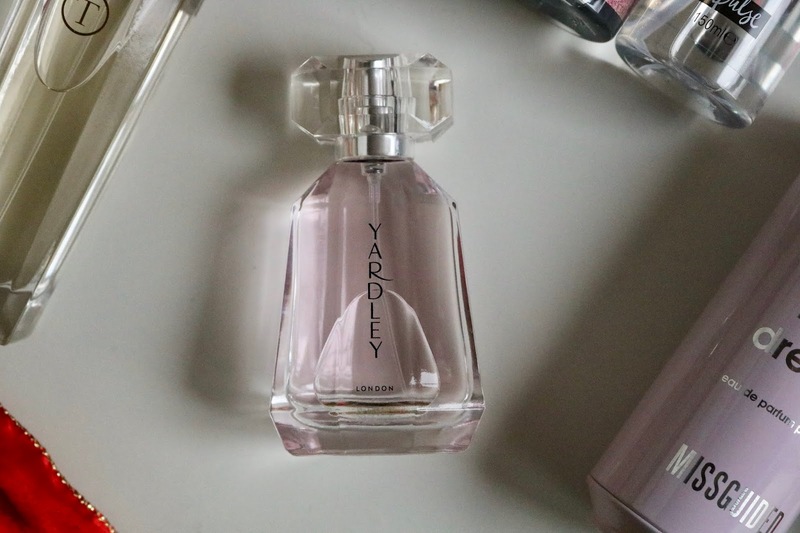 This subtle fragrance reminds me of springtime and ice cream and is such a joy to wear. Along with the Versace scent, there's another new favourite in my life. 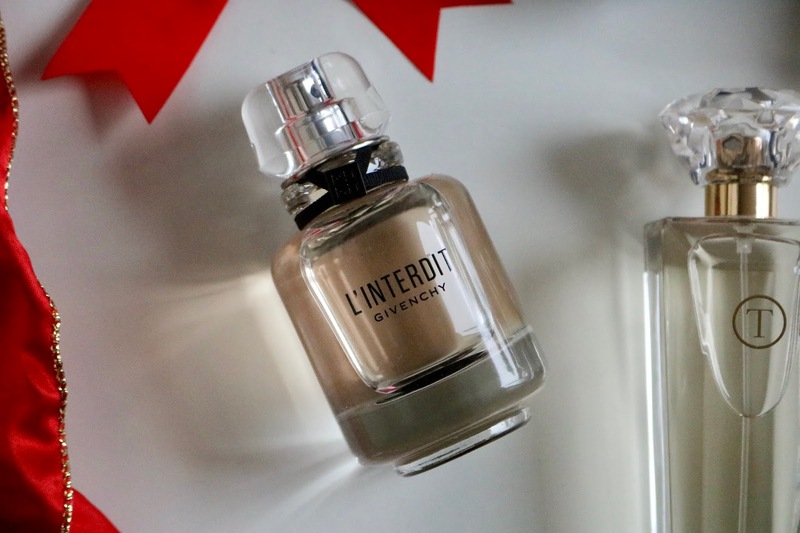 L'Interdit is the latest perfume launch from Givenchy and its message is about embracing bold femininity and living by your own terms. When I attended the launch of this, I was really surprised that this smells completely different on every person, more than other perfumes do. For me, I find the orange blossom really comes out on my skin, while the jasmine might come out more on others. So much thought has gone into this perfume from the oriental notes in the fragrance to the packaging of the bottle and box that are both beautifully designed. If you're on the hunt for a new discovery from a new brand then Avon is a great place for finding those. As well as their own fragrances they also stock others from named brands, like T by Tabitha Webb Pure Temptation. This is the first fragrance from the designer and mixes raspberry and citrus to make a surprisingly light scent that's pleasing on the nose. This has been designed by Tabitha with her favourite floral notes and comes in a very elegant bottle. Want to go back to basics with a classic scent? Look no further than Yardley. They are the kings of floral scents, with their Rose and Lily of the Valley perfumes being scents I go back to time and time again. Their Jewel Collection has five different fragrances in it, including the Rosie Ruby one. If you haven't guessed already, I'm a bit of a sucker for anything rose-smelling, and this one is not to be sniffed at (got to love an unintentional pun)! With its gorgeous jewel design bottle and hints of peach, pear and mandarin, this really surprised me with how much I found myself reaching for it. Giving someone a set of mini fragrances means they can try out all the ones in the collection and find one they love. M&S have put together a 'fragrance wardrobe' of Rosie Huntington-Whiteley's perfumes for Autograph, allowing you to test out four Eau de Parfums and one Eau de Toilette. 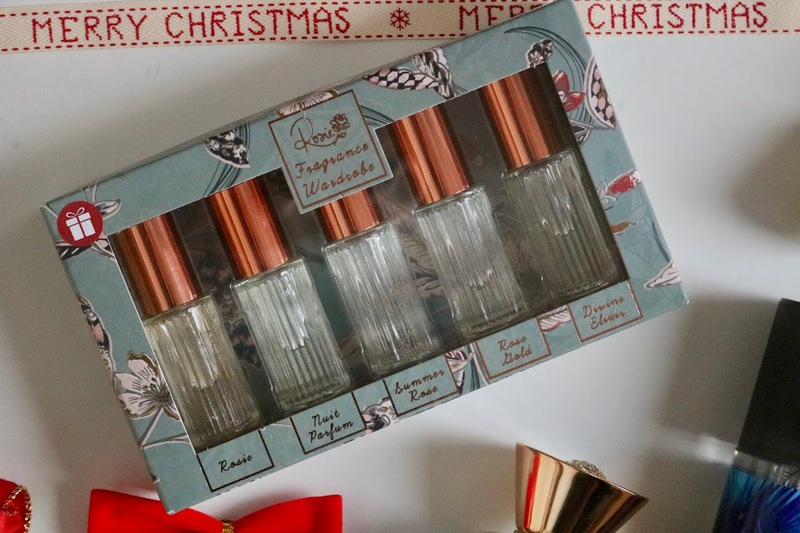 These delicate limited edition fragrances come in these stunning vintage-inspired bottles with rose gold details and would be great for travelling or to pop in your handbag as they are 11ml each. This set has proved popular as it is currently sold out, but keep an eye out in case it comes back into stock in time to order for Christmas. If you're looking at giving a fragrance gift with a difference, then I might have the thing for you. 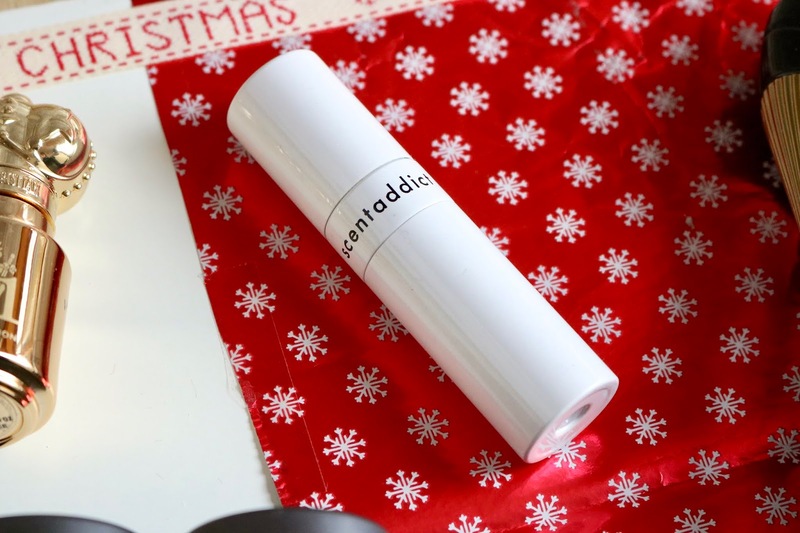 scentaddict is a subscription service where for just £12 per month you get a scent of your choice sent to your door in an atomiser. This service allows you to find a new fragrance you'd like to try or to take your favourite scent on the go in the atomiser and they have loads of amazing perfumes to choose from. I currently have the Mugler Aura scent in mine and I find it great to bring with me when travelling. You can gift a subscription for 3, 6 or 12 months and if the person you've gifted it to decides to buy a full-size bottle of a perfume they've tried, then they get £12 off. Lastly, the award for best fragrance bottle design has to go to Carolina Herrera's Good Girl perfume. This sensual fragrance packs as much of a punch as the amazing bottle and has an interesting mix of light notes (almond and jasmine) and dark notes (cocoa and coffee). This has been my go-to evening fragrance as I find it a bit overpowering during the day but stays on all evening with the same intensity from when I applied it. As much as I love the fragrance, this bottle will be staying on my beauty desk for a long while to come as the bottle is just so darn cool. 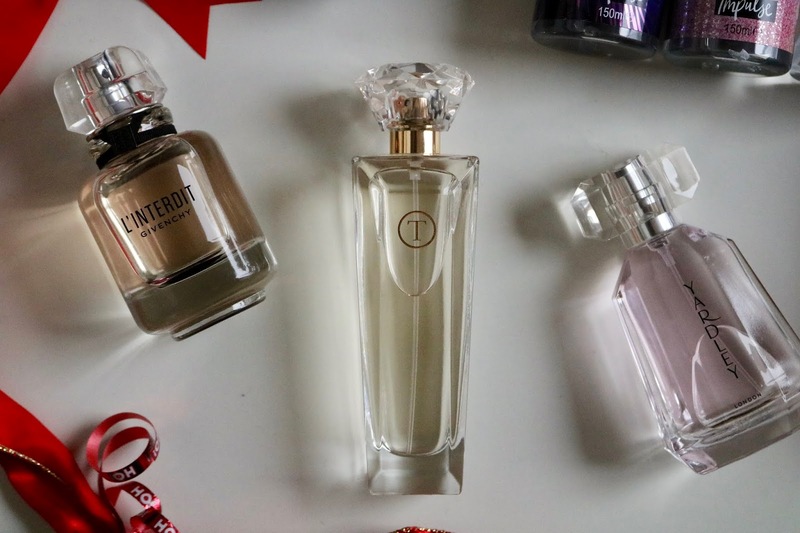 There's my second gift guide for fragrance lovers! I hope this may have helped you out for more gift ideas for this year. If you end up gifting any of these to anyone then please do let me know! Thank you as always to the PR's and brands who gifted me these products to feature!